← Dales most recent major painting! 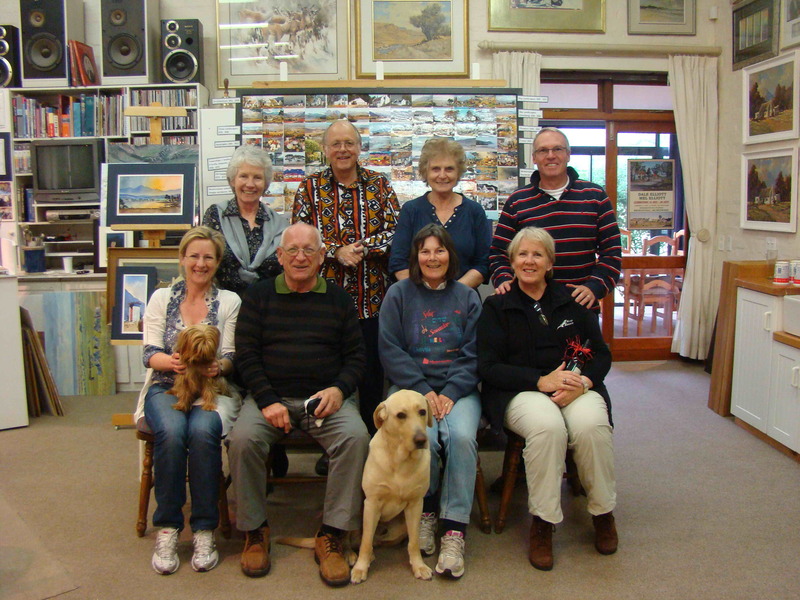 We recently had a super group of artists on our three-day watercolour multi-level course. There were eight participants and they seemed to indulge into and enjoy the intensive right-brain journey. The watercolourists on our multi-level courses get exposed to a series of techniques from normal washes, to wet-in-wet tips as well as happy accident and serindipitous techniques. We also have quite a bit of lecture time in between painting. This entry was posted in Painting Courses, Uncategorized. Bookmark the permalink.